The U.S. Forest Service released its budget justification for Fiscal Year 2020 and it includes a lot of information about the agency and its finances. 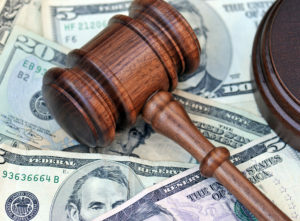 Buried in this voluminous document are details about settlement awards and attorneys fees related to the Equal Access to Justice Act (EAJA), Endangered Species Act (ESA) and amounts paid in settlement for all litigation against the agency. This report, which can be found here, reveals that between 2011-18, environmental groups received over $9 million in fees and settlement awards, often at the expense of our forests, communities and American taxpayers. EAJA is a well-intentioned law authorizing the payment of attorney’s fees to citizens and groups who successfully sue the federal government. In fact, a primary purpose behind EAJA’s passage in 1980 was to allow military veterans with disabilities to pursue claims. Today the law is utilized by environmental groups to leverage EAJA and “fee shifting provisions” contained within federal environmental regulations. For example, an environmental group can receive money if a judge is convinced the Forest Service didn’t complete enough paperwork. Or, a group can receive money if a judge determines the agency didn’t adequately consult with the U.S. Fish and Wildlife Service (FWS) over “potential impacts” to wildlife species. Environmental groups defend receiving this money, claiming they’re only holding the agency accountable for breaking the law. Yet oftentimes, these cases are not about whether a Forest Service action is actually damaging to the environment or a vulnerable species. In most cases, these projects are designed to benefit a landscape, improve forest health, enhance habitat for wildlife species and support local communities. The report cites money disbursed as a result of successful litigation against the Loafer Timber Sale Project in Oregon, which authorized the commercial thinning of approximately 1,400 acres, as well as prescribed burning on the thinned stands and burning on 821 additional acres. The agency designed the project to promote pine species in forested stands, promote the development of old-growth, and help the forest become more resilient to wildfire. It was also designed to enhance wildlife habitat, with the by-product (i.e. wood fiber) providing social-economic benefits to local communities. Unfortunately, the litigant group convinced the judge the Forest Service didn’t do enough paperwork, bringing the project to a halt. The judge also cited an environmental group’s political proposal for a massive expansion of wilderness, even though no member of Congress has chosen to introduce legislation supporting it. The report also cites over $77,000 in attorney’s fees from successful 2018 litigation against Stonewall Vegetation Project in Montana. In the face of significant forest health concerns on the Lewis and Clark National Forest, the project was initially proposed as far back as 2010. The Forest Service recognized that action was needed to respond to mountain pine beetle outbreaks, and the forest should be managed to maintain and improve viable mature habitat structure to support big game and other wildlife. The agency determined that treatments on unnaturally overgrown stands would promote resiliency with a mosaic of species, reduce fire hazard and potential, and provide timber products to support Western Montana jobs. All of these proposed actions were supported by science. Further the Stonewall project included recommendations from the collaborative Lincoln Restoration Committee, consisting of local government officials, conservationists and timber industry representatives. The collaborative agreed to a combination of logging and prescribed burning to accomplish the goals of the project. Two environmental groups did not participate in the collaboration. Instead, they sued the Forest Service claiming that the forest management activities and road densities would endanger Canada lynx and grizzly bears under the ESA, even though the proposed action had been found to comply with the ESA by the Fish and Wildlife Service. As the Stonewall Vegetation Project ground to halt, portions of the project area would later burn in the Park Creek and Arrasta Fires. Over the years the U.S. Forest Service has spent millions of dollars and countless hours of staff time defending itself against litigation, and then spending millions more when they lose in court. Meanwhile, over half the agency’s budget is spent suppressing wildfires on unnaturally-overgrown and fire-prone forests. Over 80 million acres of National Forest System land is at immediate risk of catastrophic wildfire, yet due to agency analysis paralysis, the real and perceived threat of litigation, and chronic budget and personnel shortfalls, the agency is only able to treat a fraction of these acres every year. Something is very wrong here, and only the U.S. Congress can fix this mess.